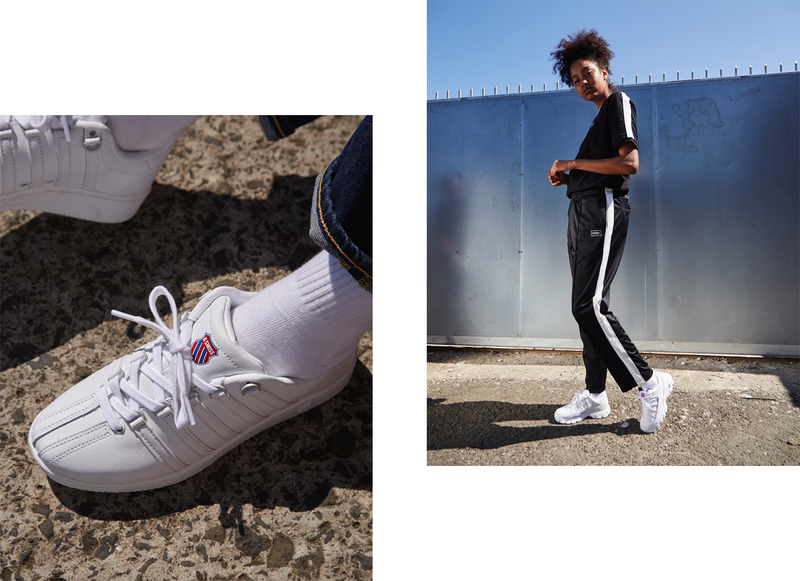 K-Swiss was first born in 1966, when two Swiss brothers called Ernest and Art Brunner swapped their home in the Alps for the Southern shores of California. Bitten by the tennis bug, they searched everywhere for a pair of stylish, durable and comfortable shoes to play in but their search proved fruitless. After realising there was a gap in the market the duo, set out to create their own brand of tennis footwear to cater to their own tastes. 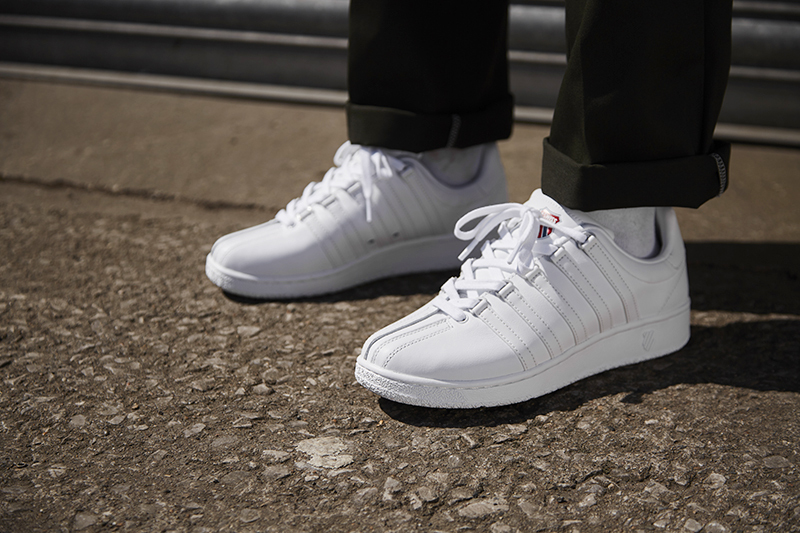 The name K-Swiss was inspired by the local kids and their European homeland – The ‘K’ in their name came from the word ‘Kalifornia’ which was used as a slang name for California in the 1960’s, and this was simply added on to the end of the brother’s nationality. The Brunner’s managed to merge Swiss heritage with American lifestyle in 1966 when they created an American first, an all-leather tennis shoe based on a ski-boot binding. Coined the Classic, their design inspiration came from the three-piece upper of a 1960’s ski boot, five side bindings and a five D-ring shoelace system. These three features were known to make a ski boot perform better for crucial lateral movements, and with tennis plays needing the same support from their footwear, K-Swiss quickly became a staple on tennis courts across the US and beyond. This season the brand dips into the vault for an exclusive capsule collection which focuses on pieces that were adopted by Hip-Hop in the late 90’s and early 2000’s. Debuting in 1966, The Classic was one of the earliest tennis silhouettes to feature a one-piece rubber outsole and a reinforced toe piece. It’s five-stripe detailing, embossed branding and all-white colourway created a distinctive look which garnered a cult following within hip-hop. Reissued in both solid black and white colour rendition, this outing is kitted out with all the original patterning and sits atop an EVA midsole for supreme step-in comfort. Also returning for 2018 is the brand’s classic ST529. The archival training shoe is built from premium leather and comes decorated with signature five-stripe detailing, retro branding and perforations to the toe box to promote air flow around the trainer. 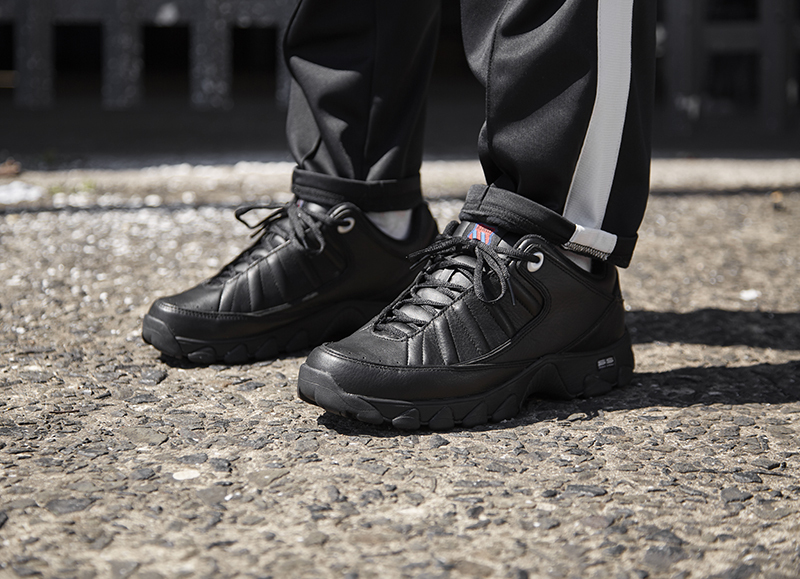 In tune with the current dad-sneaker trend, the trainer channels a strong 90’s aesthetic with its stacked profile, while a newly incorporated Shock Spring system adds comfort within the midsole. 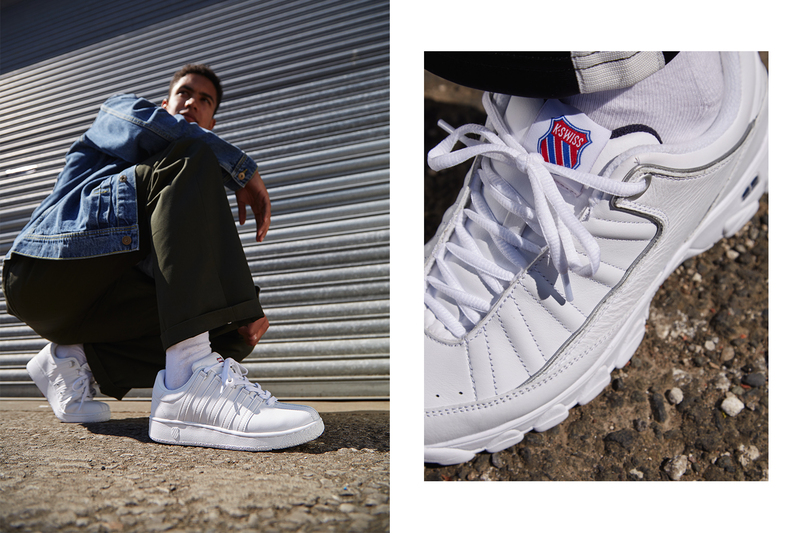 The K-Swiss SS18 Classic collection is available online and in selected size? stores now.